Buy Bigg Snoop Dogg's Puff Puff Pass Tour on DVD. 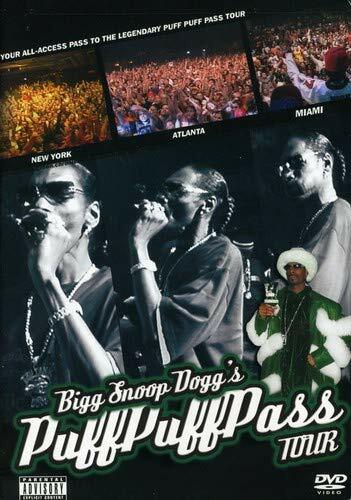 Though it runs 100 minutes, this DVD contains very little footage of Snoop Dogg actually performing, and even then the sound leaves something to be desired. Most of this film follows Snoop and his crew during the "Puff Puff Pass" tour and shows them being interviewed and messing around backstage, yet it fails to capture Snoop's considerable charisma. It also spends a great deal of time interviewing various experts about the benefits of marijuana. It's doubtful that any anti-drug puritans will bother to watch this; it's for die-hard Snoop fans only, preferably the ones who actually saw him on this tour.